Welcome to the Geriatric Medicine Interest Group! We are a medical-student run club affiliated with the UCLA Division of Geriatrics! If you would like to be updated about events in Geriatric Medicine at UCLA or West Los Angeles, please subscribe to our listserv by sending an email to uclagmig-join@lists.ucla.edu. You will receive an automated notification within approximately 24 hours asking you to confirm your subscription. Clicking the link contained in that e-mail will complete your request. 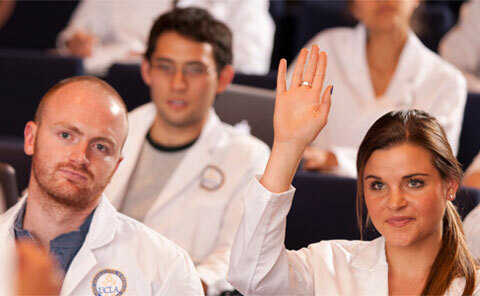 We are happy to offer a number of locations for clinical shadowing for current medical students. If you are interested in shadowing at any of the sites offered, please contact the GMIG Coordinator at gmig@mednet.ucla.edu to arrange a time.